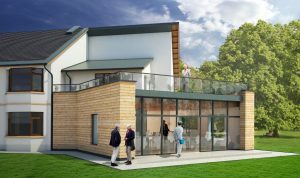 2018 will see MAST continue to work with one of our longest serving clients by delivering a range of care and amenity living projects for Erskine. These comprise a series of extensions to existing care facilities and the erection of new supported accommodation. These projects follow the successful completion of new laundry facilities at the end of last year, as part of a phased masterplan for the Erskine estate. Erskine provides care and support for ex Armed Forces personnel and their families, offering nursing, residential, respite and dementia care facilities alongside learning and employment opportunities. Associate Ryan Cossar commented ‘MAST has worked with Erskine for over 25 years and we look forward to 2018 and the completion of a number of key projects that will allow Erskine to maintain and enhance their service provision’.